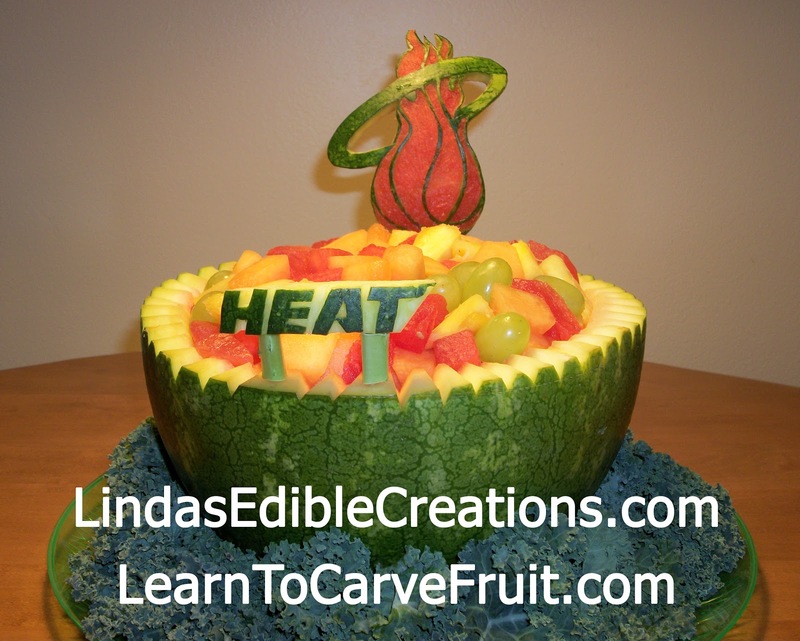 Learn the art of fruit carving and vegetable carving to make plate garnishes, fruit baskets, bowls, bouquets, vegetable flowers, fruit flowers and other edible arrangements. 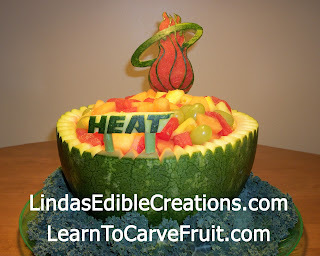 This is a Miami Heat watermelon carving I did as a custom birthday fruit bowl. 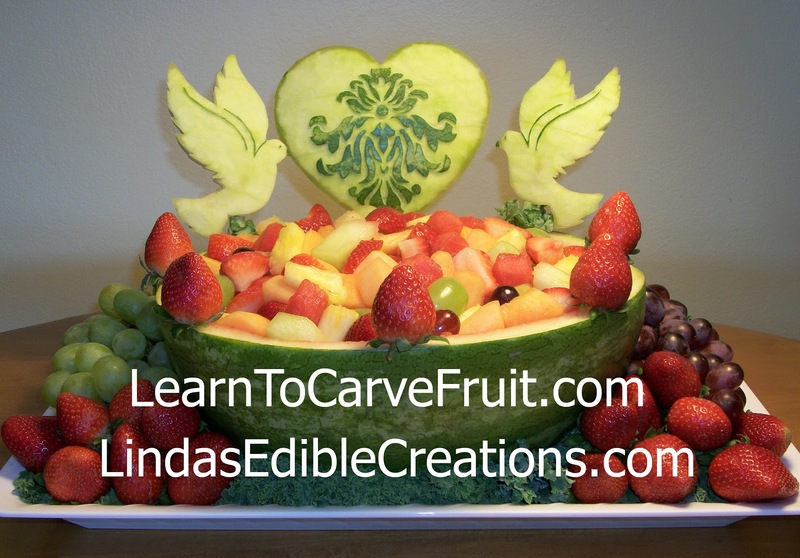 Custom fruit carving for a bridal shower with two doves and a heart with a 'Da Mask' design which is their wedding theme.